Negotiations between the coalition partners SPÖ and ÖVP are going on. 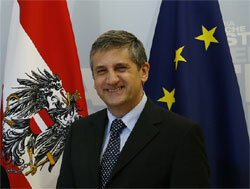 ÖVP´s chairman Spindelegger locates an “incredibly big need of consolidation”. The atmosphere between the government parties SPÖ and ÖVP becomes increasingly tensioned. As the government tries to agree on a new austerity package, public discussions and negotiations rounds are going on for weeks.